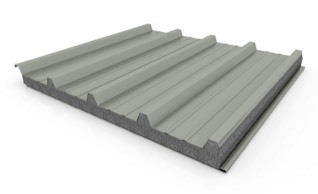 This new innovative Graphite Polystyrene (GPS) insulation product has infused high-purity graphite particles into the Expanded Polystyrene (EPS) cell structure which gives the insulation its distinctive dark grey color. 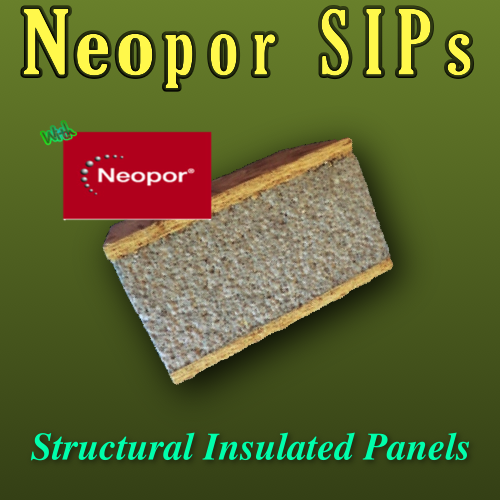 The graphite particles reflect and absorb energy and significantly improves insulation capacity by up to 30%. 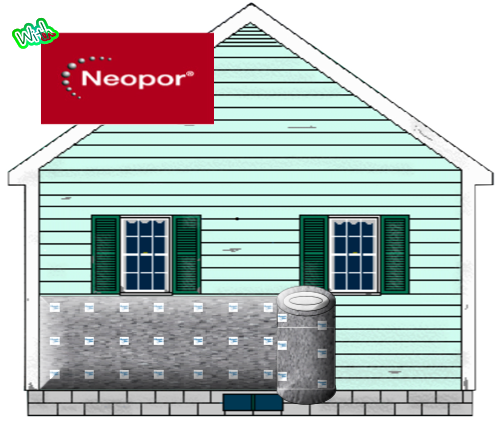 As an example, as radiant heat moves through the Neopor insulation, it reflects it hundreds of times inside the cells wall, significantly slowing down the transfer of heat and making it more energy efficient. 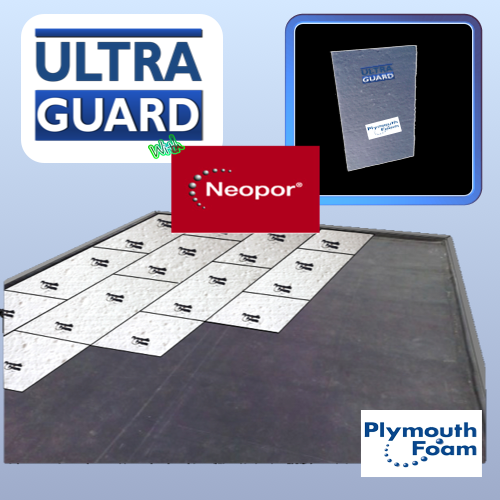 EPS is lightweight, easy to install, durable, and resistant to rotting, mold and mildew. 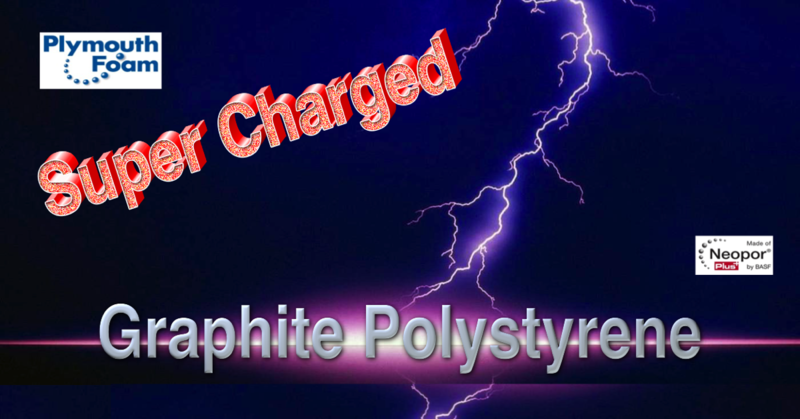 Graphite Polystyrene has the ability to increase in R-value 4% - 10% as the temperature goes down. 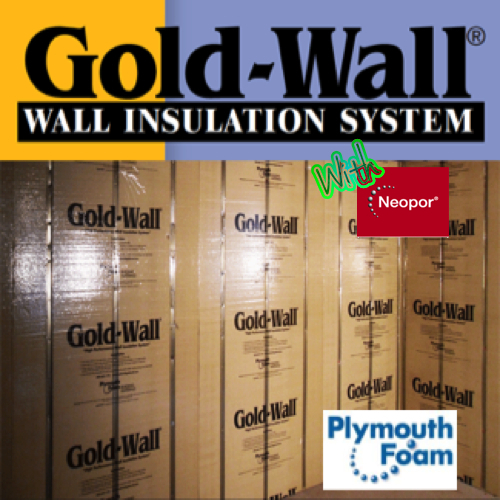 In colder climates GPS insulation really powers up when it gets cold outside making even it more energy efficient and very cost effective. 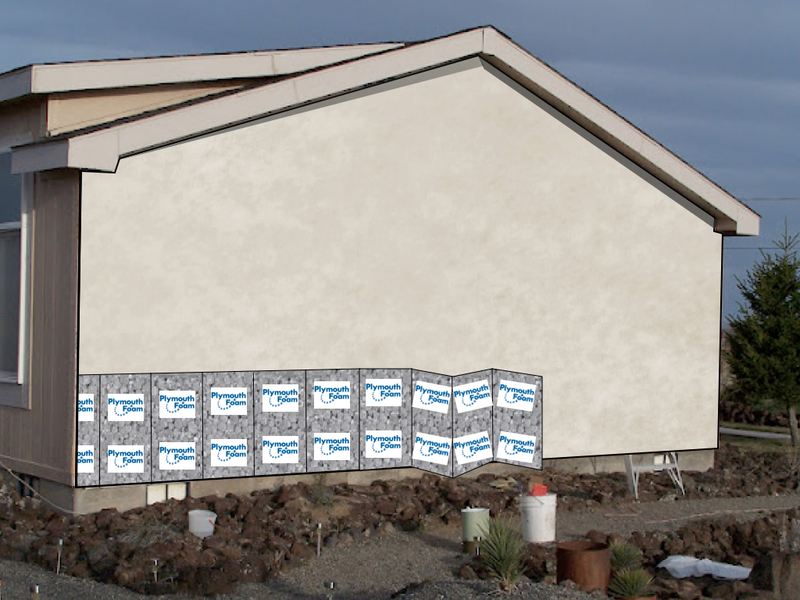 Most rigid foam insulation fail badly when exposed to water. 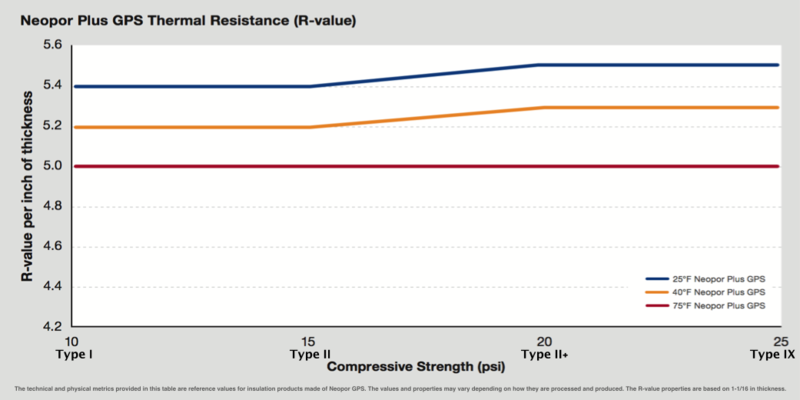 From the graphs above Graphite Polystyrene performs well when it comes to moisture management. 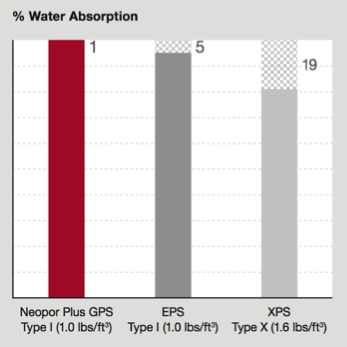 GPS as ideal insulation has the ability to shed excess water and allow water to pass through. 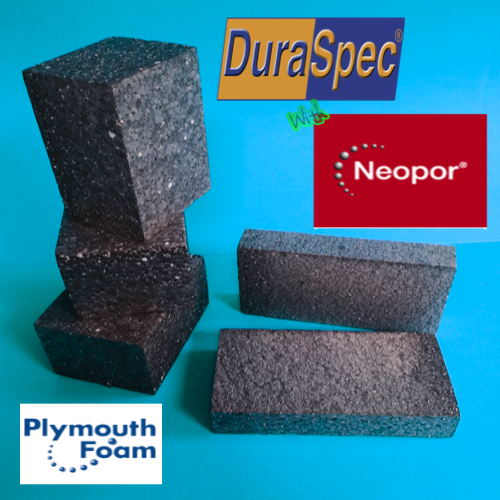 Neopor results of extreme conditions cycling test (Freeze Thaw Study ASTM C1512) are provided by Intertek, Evaluation Center, 2015. 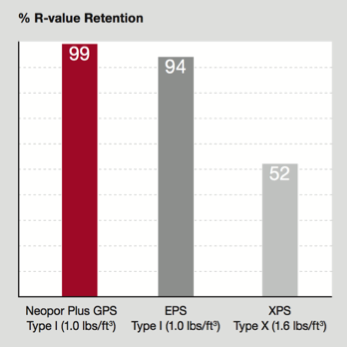 EPS and XPS results based on independent Test of Expanded Polystyrene referenced in Technical Bulletin - EPS Industry Alliance, 2014. 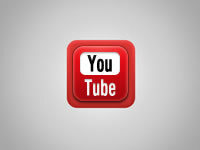 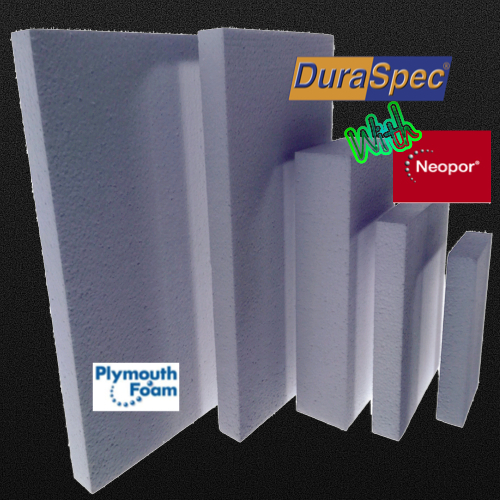 Plymouth Foam Building Materials, is one of the nation's leading manufacturers of expanded polystyrene (EPS) products. 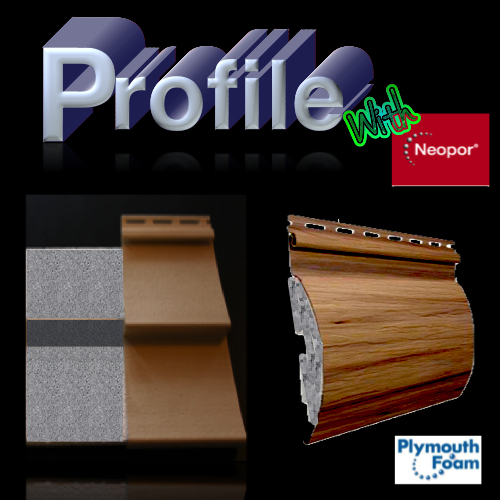 The DuraSpec™ line of Building Products include a wide variety of products for both commercial and residential construction and numerous custom solution applications. 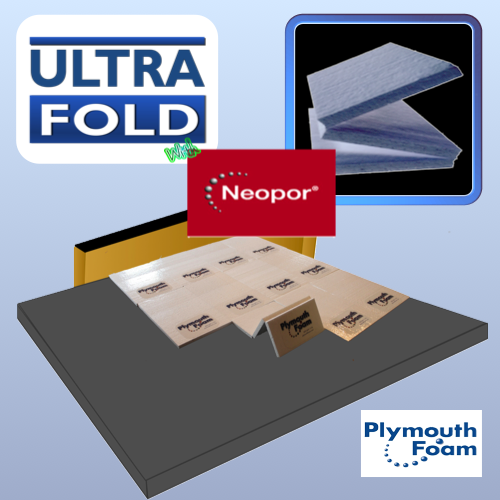 Plymouth Foam offers Neopor in many of its products such as Neopor roofing insulation, Neopor Goldwall, Neopor siding insulation, Neopor foundation insulation and Neopor wall insulation. 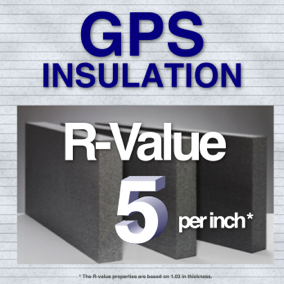 Graphite Polystyrene (GPS) offers one of the best and most stable r-values for rigid foam insulation.